Published on Friday, March 4, 2016. How did you become involved in the publishing industry? Caroline Casey: I had the good fortune to intern at what was then the Smithsonian Institution Press while I was in college. The editor I worked with let me dig into NASA photo archives and play with line edits and spend time in the museums to get to know the work we were supporting. I loved it. Katie Dublinski: My first exposure to publishing was a bit extraordinary: I was on a college study abroad program in a small city in southwest France, and I was in search of a subject for a required independent study. My "monatrice" - a French woman who was assigned to meet with me twice a week for conversation and general academic/life guidance – helped me figure out that I was interested in how books were made and put me in touch with two small publishers in the area. One was a publisher devoted to utopian ideals that ran its operations from a derelict barn, and the other was Gaia Editions, which specialized in Scandinavian literature and eventually became an imprint of Actes Sud, a major French publishing company. These days, I work for a house that publishes a lot of Scandinavian lit, and I meet with an editor from Actes Sud every year at the international Frankfurt Book Fair. I clearly owe my monatrice a thank you. I was an intern at Beacon Press and Coffee House Press before joining Graywolf Press as a part-time administrative assistant in 1997, and I've been here ever since. Both Coffee House and Graywolf have existed as nonprofit publishing houses since the 1970s. How does a nonprofit publisher differ from a for-profit publisher? What unique programs does your organization offer to support the nonprofit mission? Casey: Being a nonprofit means that we have a freedom to chose books without an eye on the profit and loss. It means we get to put resources behind a longer shot because we love it. If a book just as easily could have gone to a big five publisher, we probably shouldn't be publishing it. Our value, the reason we get the support of our community, foundations, and the NEA and MSAB, is that we take risks others can't or won't. Because publishing is, in many ways, venture capital. It's an investment. Our free, open to the public, CHP in the Stacks residency program is another extension of this – we're creating opportunities for artists and access to their work. Full stop. Dublinski: Graywolf incorporated as a nonprofit publisher in 1984; before that it was a sole proprietorship owned by its founder, Scott Walker. The primary difference in the model is that our editorial staff acquires books based on literary merit rather than the bottom line or an author's previous sales history. We aren't scared by work that doesn't fit neatly into a categorical box, or that might take a long time to find its audience. We're able to do that because we don't rely solely on earned revenue to fund the organization. The way that we go about publishing is what supports our nonprofit mission: from the point of acquisition, to devoting marketing and publicity attention and resources to all of the books on our list and not just the ones that are hits, to keeping books in print for the long term. What is your impression of the literary community in the Twin Cities as compared to other places? Casey: It's incredibly robust. And varied – I think people think of Coffee House, Graywolf, and Milkweed Editions [another iconic nonprofit Minnesota-based publisher] and assume we're doing the same things, but our lists are pretty different. And there's all kinds of other work being done here that isn't under the umbrella of the publishers. Arts funding is so generous, and the community is participatory (writers, visual artists, food artists, and social practice all overlap). It creates all kinds of unexpected outcomes, which is exciting. Dublinski: I have not really lived anywhere else as an adult, so my impressions are just that – impressions. But, in the United States and outside New York City, it's unique in that it's home to three of the major nonprofit literary publishers (Coffee House, Graywolf, Milkweed), in addition to a dynamic university press (University of Minnesota), one of the country's largest historical society presses (Minnesota Historical Society Press), and a very large children's book publisher (Lerner), among others. Plus we have the Loft, a pioneering writer's organization. So the community has more infrastructure and more people whose day jobs involve literature in one way or the other, than most other places. There is a lot of creativity involved in publishing – from editing a story and selecting a title to designing the cover and building hype around the final product. What part of the publishing process do you find most exciting and why? Casey: My job is to figure out how we present our books – who the audience is, how do we reach them, how is the book working, and what is exciting about it. That includes questions of cover design, who blurbs a book, which booksellers we target, and what angles are there for feature coverage. Those are all things that I do in collaboration with other people here, but they add up to a coherent package (I hope) that helps the book end up in the hands of its ideal reader. Dublinski: It's all exciting in its own way, but there are two aspects that I find particularly fulfilling. The moment the author first sees the finished book – the object that embodies so many months (or years) of work – can be very moving. I also work on selling subsidiary rights for our books, and it's exciting to find the perfect foreign counterpart publisher for our books and authors, and to see the books travel beyond the United States. What projects are you looking forward to in 2016? In what ways do you see your press contributing to innovation in the greater literary landscape? Casey: I'm excited for the launch of our Emily Books imprint (the first two books come out in August and November). We had wanted to mix up our editorial program, and we loved the Emily Books ebook club, and one of its founders is Ruth Curry, who was a CHP intern years ago. So now we have this great partnership, we're incubating them as a publisher, and we get to work with someone who is a model for what we hope happens when people go through our internship program. It's terrific. Dublinski: On March 15, Graywolf will publish The Making of the American Essay, which is the third and final volume in a series of groundbreaking anthologies of essays edited by John D'Agata. His work in this area has helped reframe what an essay can do and be and has inspired many other writers; it's hard to think of another set of books that we've published that has single-handedly done more to contribute to innovation in a form. We've been working on this project for more than a decade, so I've been looking forward to this moment for a long time. Bonus Question: What is your favorite, most used art/craft/design book in your personal collection and why? Casey: I love The Shock of the New by Robert Hughes. I don't know that I use it in a practical sense, but seeing it across the room reminds me to look at things more generously. And I use Burma: Rivers of Flavor, which is a cookbook – but also a book about Burma, culinary traditions, and the places certain foods have in cultures. I'd call that craft. Dublinski: It's not an art/craft/design book per se, but I could not do my job without the Chicago Manual of Style, which helps me navigate questions of grammar and format. And I every time I crack open Garner's Modern American Usage I have to stop myself from browsing around too much after I've found the answer I needed. Bryan Garner is a genius and an extremely entertaining and stylish writer. 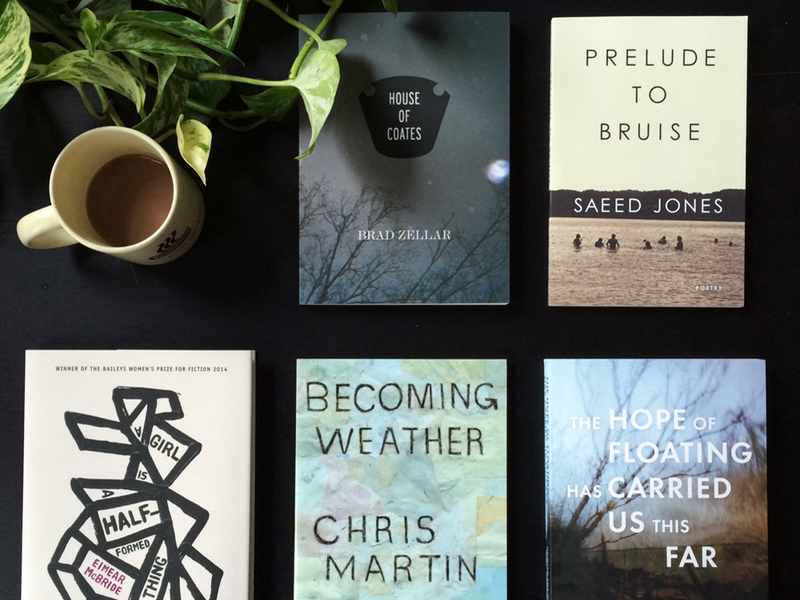 Don't miss our salon - Let's Talk Books with Coffee House Press and Graywolf Press - on Wednesday, March 9, at 7:00 p.m. This event is free and open to the public. Presented by the American Craft Council, the Library Salon Series is a series of free public presentations exploring craft, making, and art. Check out past salon series events. Five Questions is a brief Q&A about books and craft, with people who love and use the American Craft Council Library. 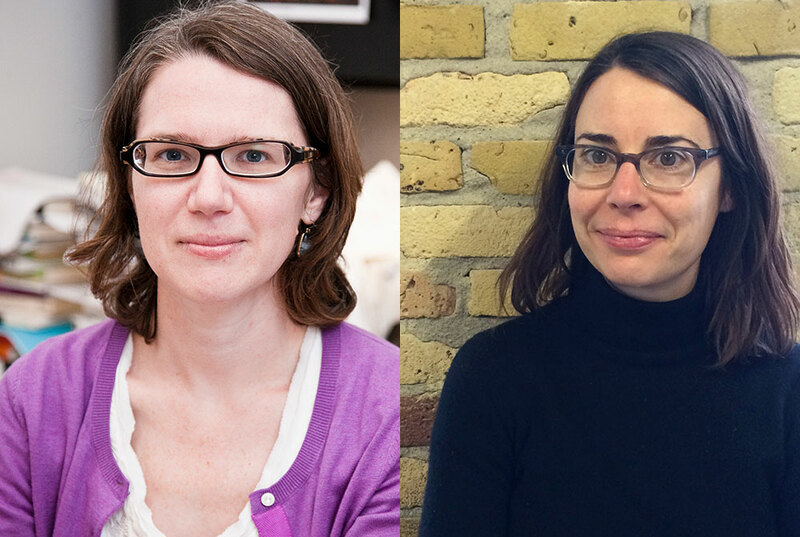 Katie Dublinski, associate publisher of Graywolf Press, and Caroline Casey, managing director of Coffee House Press. Photo credits: Katie Dublinski by Erin Smith Photography, Caroline Casey by Nica Carillo. 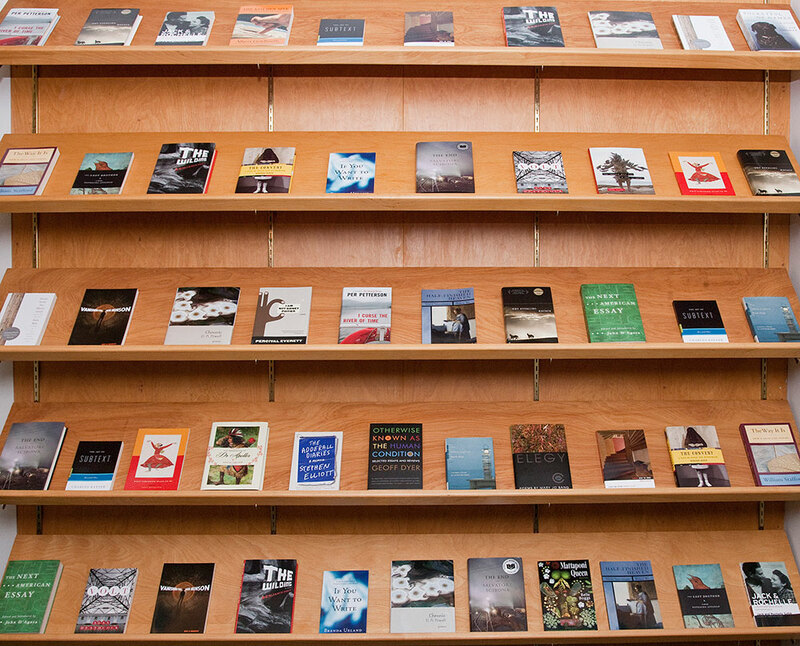 Book shelves at Graywolf Press. Photo: Courtesy of Graywolf Press.